The following small selection of conferences, TV reports, guest articles and publications in english gives you an overview of my attitude and arguments to the socio-political developments to which I prefer to talk and write most. Women and money. 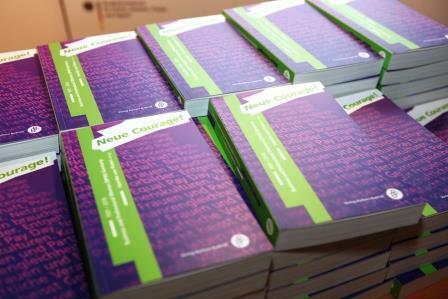 You find a broader selection by switching the language menu to german. 27-28 January 2017 Women Economic Forum, Plenary Speaker Meeting the challenge of leadership for fostering Innovation, Creativity, Collaboration and Can we learn innovation? Diversity: an exit gate from the crisis? 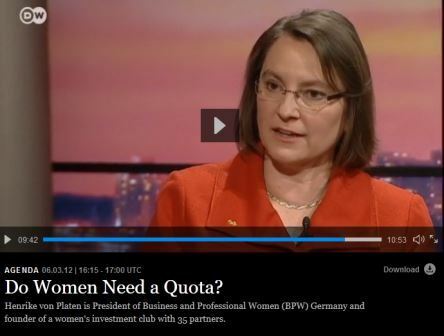 DW Agenda – Do Women Need a Quota?